Recently i found the micro post about my Pure cockroaches project on http://specere.tumblr.com/. Its one of the works i would like to keep working on, but with some biotechnological implementations. There are fluorescent gene were found few years ago, which name is Enhanced Green Fluorescence Protein, and it makes the live body to glowing in the dark. It was extracted by scientists from jelly fish and applied to some species. 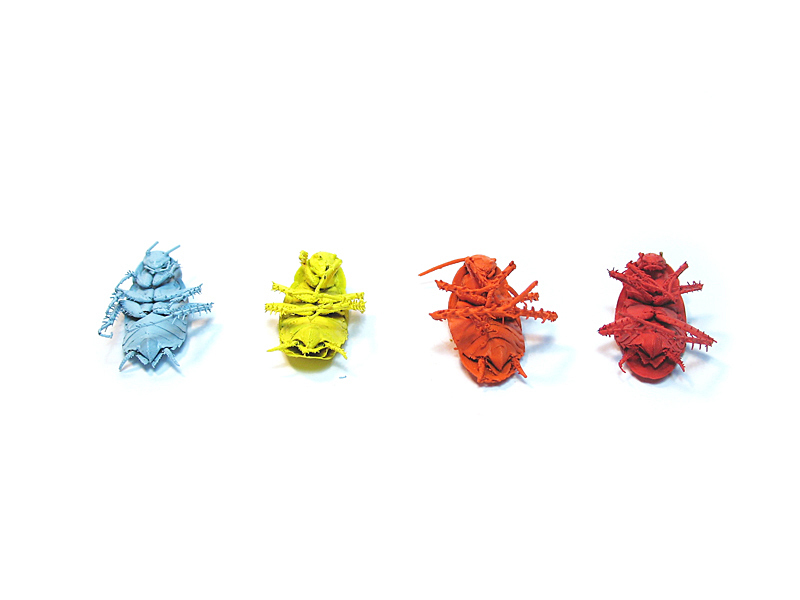 The modified animals like fishes, cats and mices already living with glowing skin, so its really short way to make the cockroaches to appear in any color.